As someone who has lived in Astoria for a decade, I still remember what a welcome addition it was when DiWine came to the area. 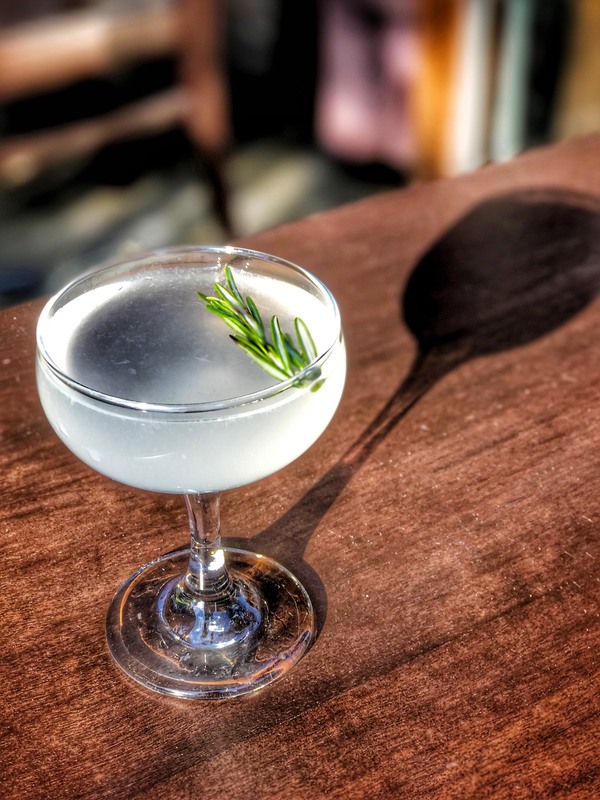 From the cocktails to the wine variety to the food selection, DiWine is one of Astoria’s best-kept secrets, especially during winter. 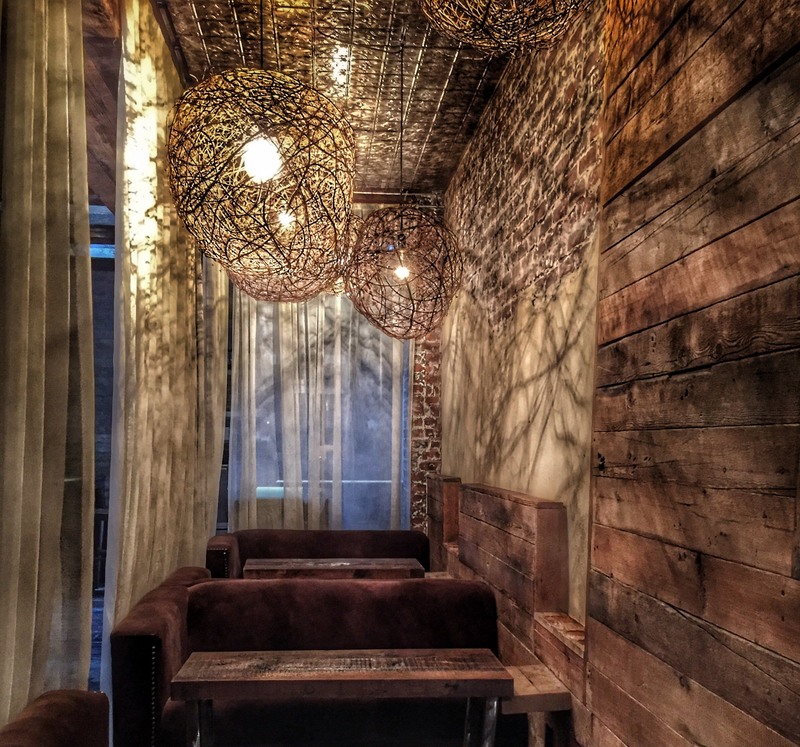 The space is incredibly cozy and trendy with dim lighting through sphere fixtures and cabana seating that is great for a date you want to impress. Something important to note is that Happy Hour is offered Sunday through Thursday from 5-8 and all day on Mondays, which is when we were there. 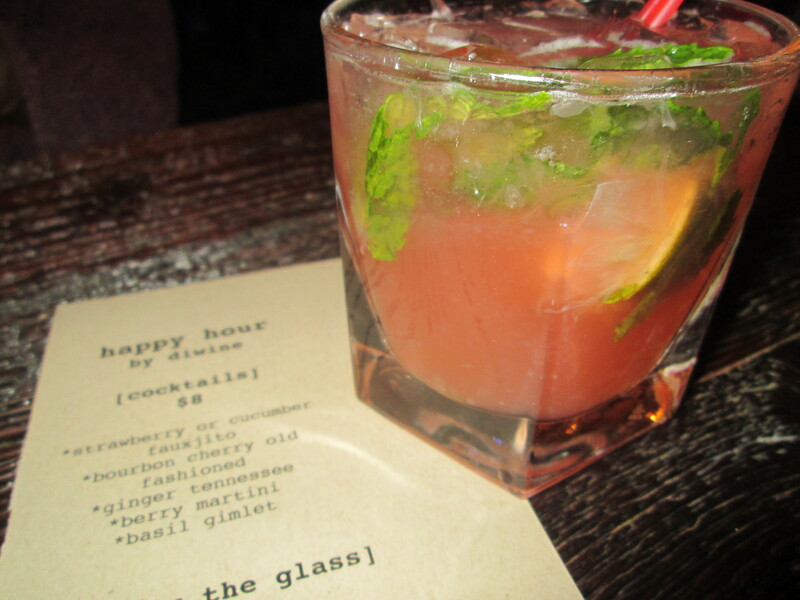 I opted to start with the Strawberry Fauxjito off of that list, a refreshing vodka-based mojito with a strawberry twist. 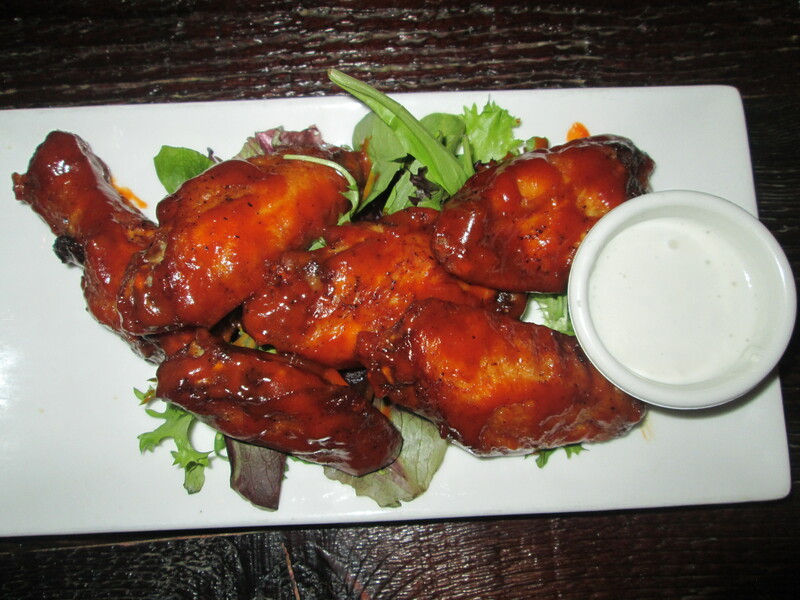 We also had to try to Buffalo Peanut Butter wings off the happy hour menu and it did not disappoint. The unique combination of sweet from the peanut butter with a little bit of heat from the buffalo sauce is something that everyone should experience. 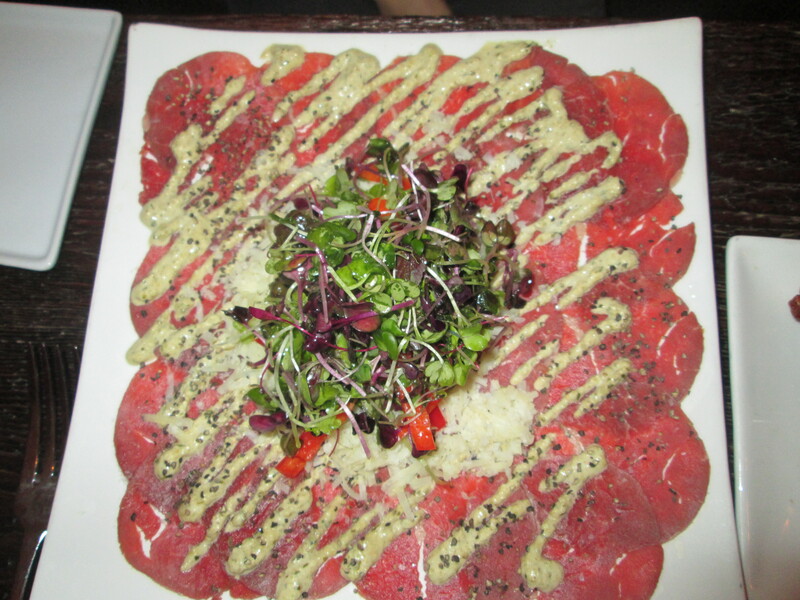 Next up was the Beef Carpaccio, served with a horseradish remoulade, manchego cheese, and a mound of greens and bell peppers in the middle. What I liked is the beef was sliced thin instead of ground up and the greens helped to cut the richness of the dish. 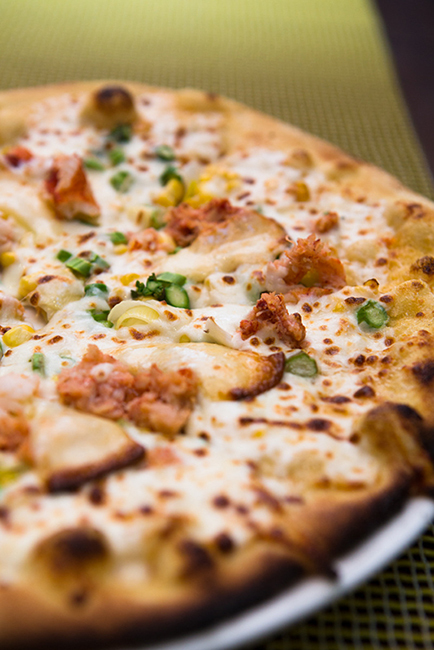 The Blue Crab Bianca Brick Oven Pizza was a highlight. The crust was so exceptional that I needed to mention it first. 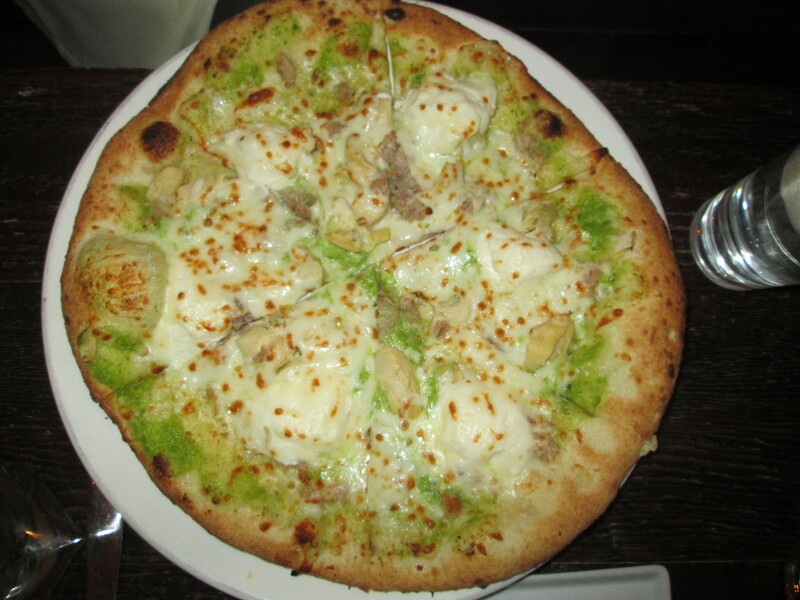 The blue Maine crab, asparagus cream, ricotta cheese and artichoke toppings melted together in harmony on top of the amazing crust to create perfect bite after perfect bite. Then we went for the seafood with small plate versions of the Diver Scallops and Herb Seared Tuna. 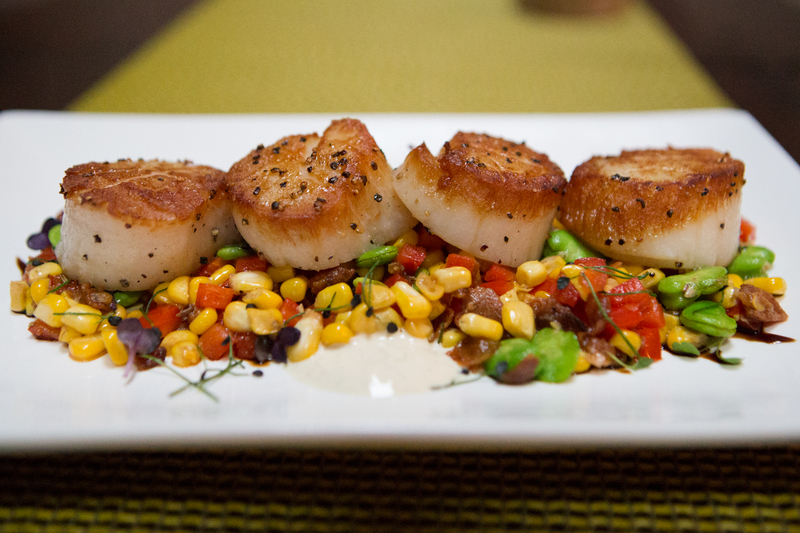 Incorporating bacon into the succotash accompanying the scallops was a welcome smoky addition. 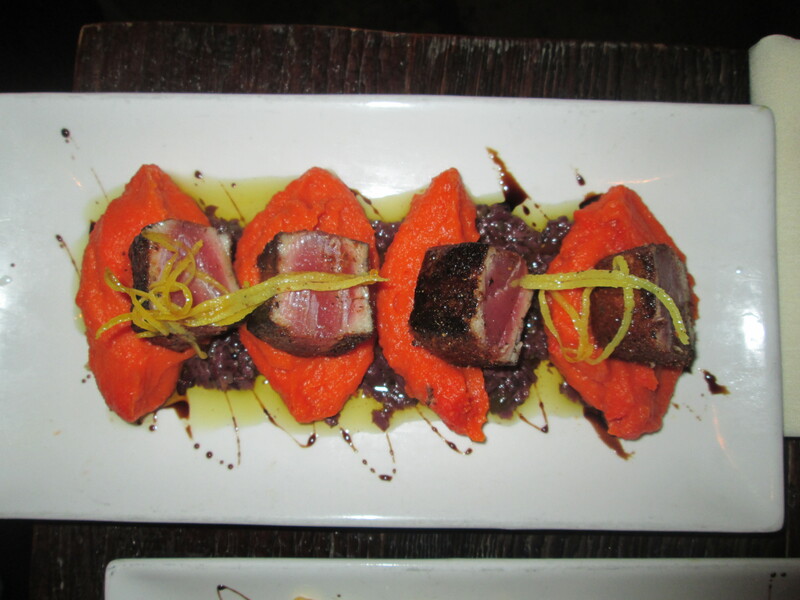 The mango carrot puree served with the tuna ensured a bright Insta-worthy dish. 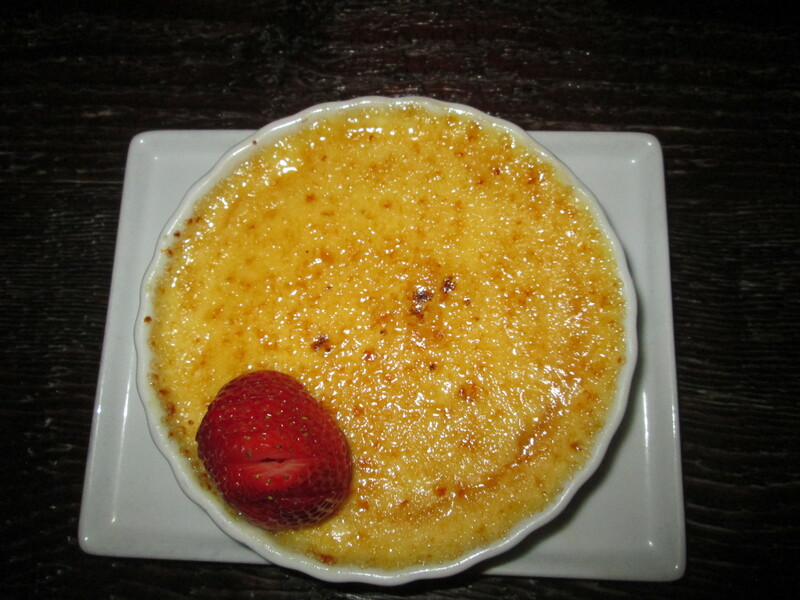 We ended on a sweet note with the seasonal Crème Brulee and Apple Cinnamon and Nutmeg-Infused bourbon on the rocks. The bourbon was the standout and the infused spirits at DiWine are definitely one of the highpoints here. These items are only a fraction of the menu. DiWine is not only a hidden gem, but also has so many must-try unique items on the menu that I’m not sure I want to let the word out! 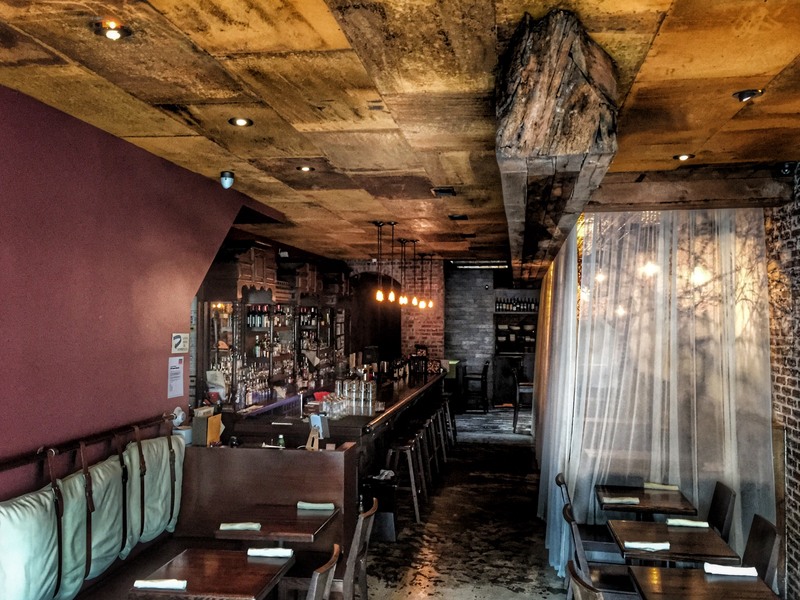 In addition to the dinner items, DiWine also does a boozy brunch every Saturday and Sunday from 11:30-3:30pm. If you make it I’m sure we’ll see you there!